FoulX comes in two containers: Part A is the larger container, Part B is the smaller container. Only mix Part A with Part B when you are ready to apply FoulX. Appropriate personal protective equipment (PPE) should be used at all times. While FoulX is non-VOC, adequate ventilation or extraction is recommended and we recommend wearing suitable respiratory protective equipment. Avoid contact with eyes and skin. Avoid formation of dust and aerosols. Keep away from heat, sparks, flames and other sources of ignition. Wash hands thoroughly after handling and wash contaminated clothing before reuse. Refer to SDS for complete information on the safe handling of this product. Surface preparation will vary based on intended use. Ensure surfaces to be coated are clean, dry, and in sound condition. Before applying FoulX, remove any oil, grease, dust, dirt, or other foreign material by using an appropriate isopropanol cleaner (rubbing alcohol). 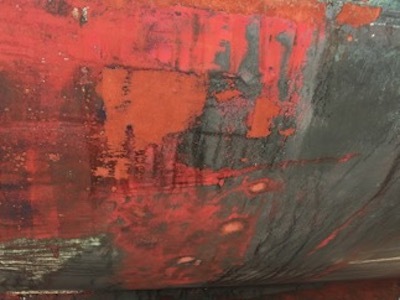 FoulX can be applied over existing surface corrosion & imperfections, however Oceanit recommends that depositions or adhered bodies, such as bio-growth, scale, or dirt are removed. 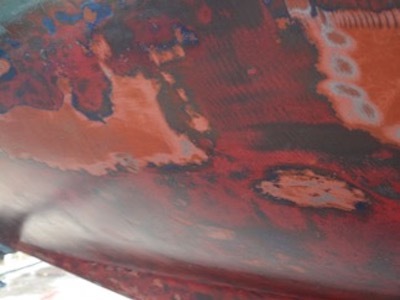 It is recommended that coating application be performed in a particulate-free environment to minimize surface defects. The topcoat can be applied by immersion, spraying, rolling, or brushing. Only one coat is required to cover the substrate, however we recommend two coats of FoulX to maximize the performance. Under ambient conditions (25°C / 77°F, 50% RH), a single coat is 1-2 mil thick. Combine the entirety of Part B into the container with Part A (refer to packaging for more mixing information). Shake or stir thoroughly for approximately 10 minutes to mix the polymer evenly. The solution should change from hazy-clear to a milky appearance. The combined FoulX solution, when kept in a sealed bottle, has a pot life of up to 72 hours after mixing. Build the topcoat up using thin coats applied evenly to the surface, a typical coat is 1 mil thick. FoulX will be dry to the touch in under one hour in ambient conditions (25°C / 77°F, 50% RH). Wait 60 minutes between coat applications. FoulX will be completed cured in approximately two hours. 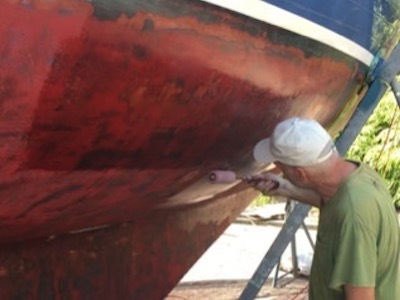 It is recommended to apply two coats for a total thickness of approximately 2 mil. Additional layers may be added prior to final curing, however it is not recommended to exceed an applied thickness of more than 10 mil. Clean tools and flush equipment after application is completed. Any leftover FoulX solution can be used for up to 72 hours after mixing if kept sealed and under good storage conditions. Collect all waste product into an appropriate waste container. Offer surplus and non-recyclable solutions to a licensed disposal company. Contact a licensed professional waste disposal service to dispose of this material. 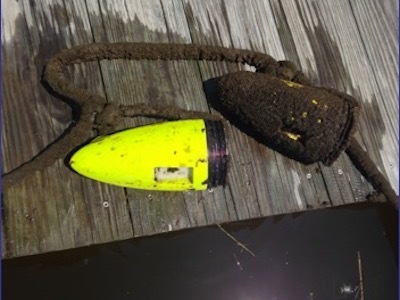 Consult state, local, or national/federal regulations to ensure proper disposal. Do not dispose of into the sewage system or environment. It is the responsibility of the waste generator to properly characterize all waste materials according to applicable regulatory entities (US 40CFR262.11). 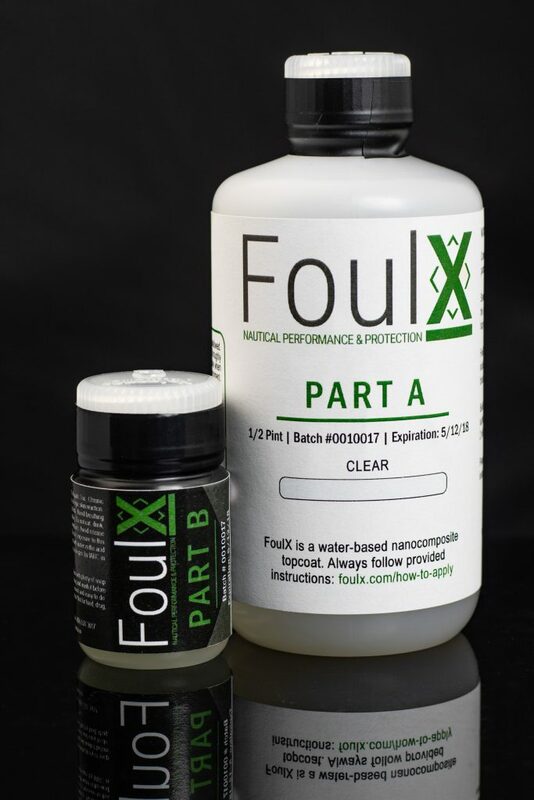 For storage of FoulX, Parts A and B should be kept unmixed and in separate containers. Keep containers tightly closed and away from heat sources, in a cool, well ventilated place. Recommended storage temperature is between 5-40 degrees C (41-104 Fahrenheit). Avoid storage over 120° F and contamination with incompatible materials. Incompatible compounds include oxidizing agents, acids, amines, moisture and water. FoulX has a shelf life of approximately 6 months under the recommended storage conditions. Refer to SDS for more information. FoulX Technical Sheet and SDS available upon request for customers.